We're back after after the summer break but just to shake things up, Adam Boulton and guests discuss Brexit, the antisemitism crisis engulfing the Labour Party and the apparent internal dissent from an anonymous source in Donald Trump's White House. 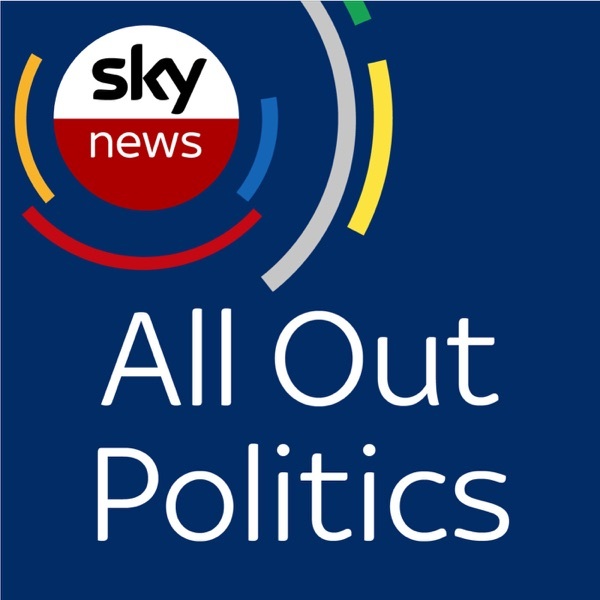 A fascinating week in politics and joining Adam to assess the big issues are Sky's deputy political editor Beth Rigby, Tony Blair's former adviser Matthew Doyle, The Telegraph's Brexit editor Dia Chakravarty and our resident statto, the Head of Sky Data Harry Carr. Adam Boulton and guests discuss the French response to the fire at Notre Dame Cathedral in Paris this week and assess the nation's religious literacy which has been scrutinised in the aftermath. And with European Parliament elections on the horizon, there's the fascinating spectacle of the battle for the pro-Leave vote with UKIP up against Nigel Farage's Brexit Party. Joining Adam this week are the journalist Andy Walton, France 24's London correspondent Benedicte Paviot and Sky's political reporter Rob Powell. Another week another potential delay to Brexit as Parliament struggles to agree a path to honouring the result of 2016 EU referendum. Adam Boulton is joined by an expert panel of guests to look at the short term options available as Theresa May instigates discussions with the Labour leader Jeremy Corbyn on the way forward, with next week's summit in Brussels critical to satisfying EU deadlines. Joining Adam are the COO of Best for Britain and co-host of the Remainiacs podcast Naomi Smith, Guido Fawkes reporter Tom Harwood, The Times' deputy political editor Sam Coates, Sky's Europe correspondent Mark Stone and the head of Sky Data Harry Carr. Adam Boulton and guests assess another dramatic week in Westminster in which the Prime Minister was the subject of a Cabinet coup, offered her resignation, saw the government lose control of debates in the Commons, and witnessed MPs fail to agree on a way forward in the Brexit process. Joining Adam to work out where it is all heading are the editor of City AM Christian May, co-host of the Zeitgeist Tapes and House of Comments podcasts Emma Burnell, Sky's political editor Faisal Islam and the head of Sky Data Harry Carr. Adam Boulton is in Brussels as the clock ticks towards the UK's legal departure from the European Union. 11pm on 29th March 2019 is on the horizon but there is no clear path to Brexit and following another dramatic week, a showdown between the Prime Minister and Parliament is looming. Joining Adam to discuss the prospects for the next week and beyond are Sky's Europe correspondent Mark Stone, Chloe Westley from the Taxpayers' Alliance, the former deputy director of the Remain campaign Lucy Thomas and the head of Sky Data Harry Carr. At the end of a tumultuous political week, Adam Boulton and guests attempt to navigate their way through the various parliamentary twists and turns in the Brexit process. The votes, the politics and the legalities are all up for discussion as the path to honouring the EU referendum result in 2016 remains unclear. Joining Adam this week are Sky's political correspondent Kate McCann, the Telegraph's Brexit commissioning editor Asa Bennett, the chief executive of the Demos think tank Polly MacKenzie and the head of Sky Data Harry Carr. Adam Boulton and guests discuss the political arguments associated with the rise in knife crime as Theresa May insists there is no direct correlation between 'certain crimes and police numbers.' With another Meaningful Vote on Brexit on the horizon, can Mrs May get her deal through the Commons? And what can we expect from the Chancellor's Spring Statement next week? Joining Adam this week are Sky's economics editor Ed Conway, Research Fellow for the Centre for Policy Studies Harriet Sergeant, Sky's political correspondent Tom Rayner and the Head of Sky Data Harry Carr. Adam Boulton and guests assess the next steps as Theresa May faces accusations of more 'can kicking' over Brexit. The Prime Minister's opened the door to potential votes on taking 'no deal' off the table AND extending Article 50. Inevitably the issue is dividing the Conservatives but there are also problems for Labour as Jeremy Corbyn pivots towards backing a second referendum against the backdrop of more claims of anti-Semitism. Plenty to talk about as usual and joining Adam this week are The Telegraph's Brexit commissioning editor Asa Bennett, Sky's political correspondent Kate McCann and the FT's political editor George Parker. It was meant to be recess. So with Adam Boulton on his own recess, several Labour and Conservative MPs decided to resign from their parties to join the new Independent Group. Some blamed Brexit, others the culture with their parties. All were convinced that it's time for a change. To examine a tumultuous week in politics, Sophy Ridge took time out from her Sunday show to host this week's edition of AOP and she was joined by former Labour adviser and author of 'Punch and Judy Politics' Ayesha Hazarika, former Lib Dem adviser and Chief Executive of the Demos think tank Polly Mackenzie, the deputy editor of The Article Olivia Utley and the head of Sky Data Harry Carr. With just six weeks to go until Brexit - and in the week in which the International Trade Secretary Dr Liam Fox signed the 4th of the 40 deals he expects to seal before 29th March - Adam Boulton and guests discuss post-Brexit trade, tariffs and the relationship with the World Trade Organisation. They also examine the latest controversy involving the Transport Secretary Chris Grayling after a multi-million pound shipping contract - to a company with no ships - was cancelled. Joining Adam this week are the Sky's business correspondent Adam Parsons, the Head of Europe and Trade Policy at the Institute of Directors Allie Rennison, Sky's political reporter Rob Powell and the head of Sky Data Harry Carr. Adam Boulton and guests discuss the diplomatic tensions between the UK and the European Union after the EU Council President Donald Tusk said there was a 'special place in hell' for politicians who promoted Brexit without a plan to deliver it. They'll assess the Labour party's positions on Venezuela - where the country's opposition leader has declared himself interim president - and antisemitism. And in the week Sky News announced that Beth Rigby is to become its new political editor, Adam recalls his 25 years in the hotseat and offers Beth his survival tips! Joining Adam and Beth are Sky's diplomatic editor Dominic Waghorn and the head of Sky Data Harry Carr. We are weeks away from the date the UK is scheduled to leave the European Union but the shape of Brexit is still unclear. There was light at the end of a Eurotunnel for Theresa May this week as MPs backed an amendment on the Irish backstop which could be enough to get her deal through Parliament...BUT...the EU has made it clear there will be no renegotiation of the Withdrawal Agreement. So where does that leave us? Joining Adam Boulton to discuss the options are Anand Menon, Professor of European Politics and Foreign Affairs at Kings College London; Financial Times Political Correspondent Laura Hughes, Sky News’ political reporter Rob Powell and the Head of Sky Data Harry Carr. Adam Boulton and guests discuss the options available to Theresa May as she tries to win support for a Brexit 'Plan B' among her parliamentary colleagues. With the clock ticking towards 29th March, can the Prime Minister secure a deal? Will Article 50 be delayed? Can and will a 'No Deal Brexit' be taken off the table? Will the hard Brexiteers be left with no option but to back some form of deal? We know there won't be a 'second referendum' amendment which has raised questions about the Labour leadership among the party's own MPs so what is Jeremy Corbyn's next move? Joining Adam are Sky's deputy political editor Beth Rigby, political consultant and commentator Nina Schick, deputy editor of the Article Olivia Utley and the Head of Sky Data Harry Carr. What a week it's been in Westminster as the Brexit crisis started to bite harder. A thumping defeat for Theresa May's Brexit plan prompted Jeremy Corbyn to table a motion of no confidence in the government....which was rejected by MPs. So where now? What is plan B? How can Parliament honour the referendum of 2016? Plenty to talk about this week and joining Adam Boulton to go over it all are the Labour MP Stella Creasy, Conservative MP George Freeman, Sky's political reporter Rob Powell and the Head of Sky Data Harry Carr. In this first episode of 2019, Adam Boulton and guests question the boundaries of protest and ask what can be done about the harassment of MPs and journalists in Westminster. With the meaningful vote on Theresa May's Brexit withdrawal agreement on the horizon, there's an assessment of this week's government defeats in the Commons and there are questions over whether the Speaker was out of order in agreeing to give MPs more sway over the process. Joining Adam this week are the Conservative MPs Anna Soubry and Owen Paterson, the Labour MP Jess Phillips, the editor of the online political magazine 'Spiked' Brendan O'Neill and Sky's political correspondent Tamara Cohen.